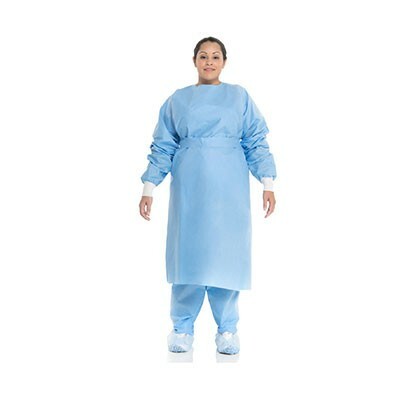 Halyard Procedure Gowns 69025 is made of a protective, fluid-resistant 3-layer fabric. Potential for light to moderate fluid contact. Blue with knit cuffs, full back, and VELCRO® neck closure. For more information on Halyard’s Procedure Gowns 69025, please visit www.halyardhealth.com. To view more specifications on Procedure Gowns 69025, please use the PDF provided.